Moms Demand Action for Gun Sense in America is fighting to ensure Arkansas teachers cannot shoot back if present when one of their schools is attacked. Legislation to arm teachers is expected early in Arkansas’s 2019 legislative session, and Moms Demand is already claiming armed teachers would make students less safe. But Bailey did not cite one incident in which a teacher’s gun has been accessed by a student, much less used for ill purposes. 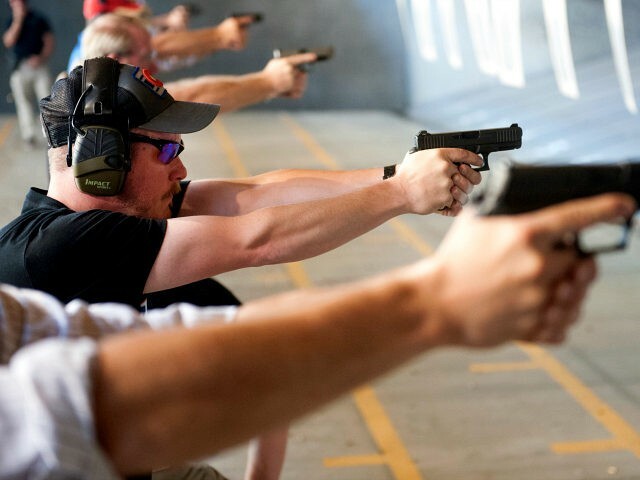 In other words, even though school districts in Colorado, Ohio, Utah, South Dakota, Texas, and elsewhere allow teachers to be armed for self-defense, not one incident could be cited of a teacher’s gun being accessed by students. Instead, Bailey spoke in what-if scenarios. We can say with certainty what happens when teachers are not armed. Consider the December 14, 2012, Sandy Hook Elementary School attack (26 killed) or the February 14, 2018, Marjory Stoneman Douglas attack (17 killed). In both attacks, teachers were not allowed to be armed in order to shoot back, and in both attacks, teachers were killed along with students.